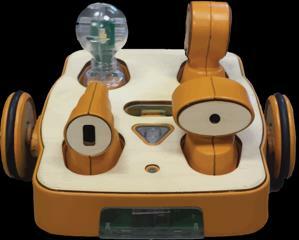 Introduction to Robotics and Coding: Use the KIBO Robotics system to learn computer coding, logic & loops. How can you make your robot move and follow your commands? What are the essential commands for any program? How can you command KIBO to make noise, avoid obstacles, shine its light, dance, and then do it all over again? Write your code, test it out, and revise as necessary. Use the light, sound, and distance sensors to create conditional statements. Lego® build-ons and catapults make KIBO endless fun Become a KIBO master!